WE PICK up the story of Noah just before the waters of the Flood sweep over the land. We compare the biblical account of the Flood with the Mesopotamian epics featuring Atra-Hasis, Utnapishtim, and Ziusudra. Was Noah a Sumerian king? And why, after the Flood, was Noah so angry with Ham that he cursed Ham’s son, Canaan? Further reading: See Peter Goodgame’s intriguing studies The Giza Discovery, in which Peter equates the biblical Nimrod with the Sumerian king Enmerkar and the first Egyptian pharaoh, Narmer, and then makes the case that this person is to be identified as the Egyptian god Osiris. We also recommend Peter’s excellent essay Against World Powers: A Study of the Judeo-Christian Struggle in History and Prophecy, which explains the Genesis 6 event as one battle in the ongoing rebellion against Yahweh by members of the Divine Council. These will factor into our discussion next week of the Tower of Babel incident. 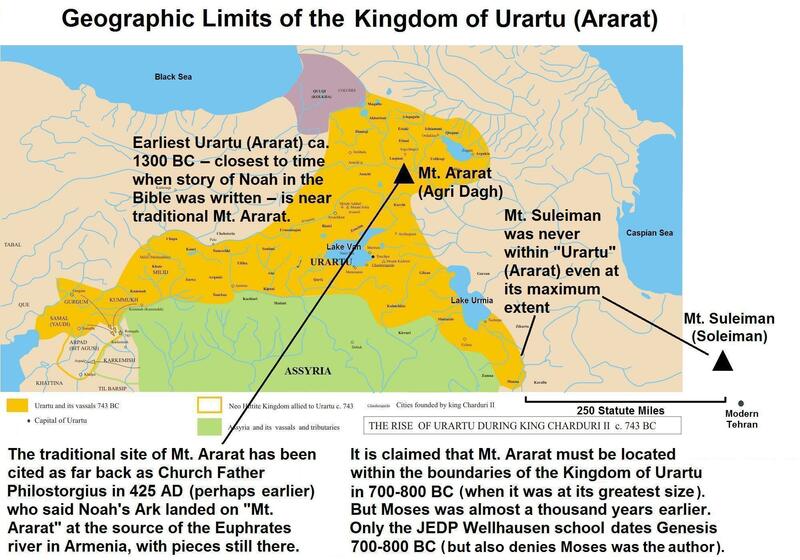 Also see this map that shows the limits of the ancient kingdom of Urartu (Ararat).